We first heard about Fitbug earlier in the year, when the tracking company started (fairly quietly compared to its competitors) introducing its tracking device, the Fitbug Air, into the health and fitness tech market. Well now Fitbug is taking steps to conquer an even bigger bit of the quantified self pie, as this week it was announced that it’ll be launching a Bluetooth Smart Ready Scale, called the Wow. Just like Fitbit and Withings, the company is looking to bring out more gadgets to accompany its tracking devices, app and web dashboard, but the challenge will be standing out in a market that’s quickly becoming very crowded. 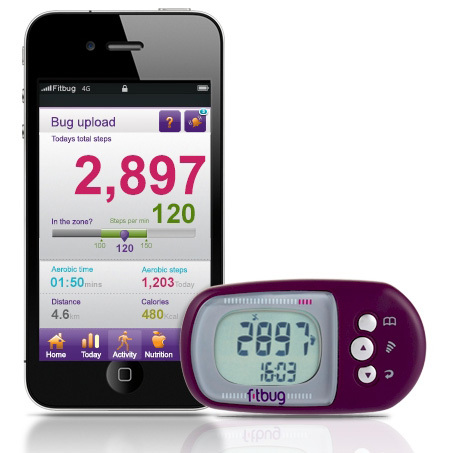 “The introduction of the Fitbug Wow scale to our range of devices is a really exciting enhancement that will make it incredibly easy for our users to keep track of their weight on both fitbug.com and our activity app. The device isn’t available to buy yet, but will be showcased at CES in January.